Sitting beneath The Remarkables mountain range is something equally amazing. The Zig Zag Zoo pre-school and it's virtually invisible 7.7 Kilowatt solar system that powers everything inside. Sustainability taken to the next level. Zig Zag Zoo pre-school is home to 90 people, five days a week from 7 am till 7 pm, in the owners’ own words they have hundreds of lights, under floor heating, and three dishwashers, plus a ton of electronics. However, their average monthly power bill is now just $26.73. This excludes GST, line charges and prompt payment discount, and includes his rebate from exporting onto the grid. The solar energy is generated not through direct sunlight but scattered light arrays. 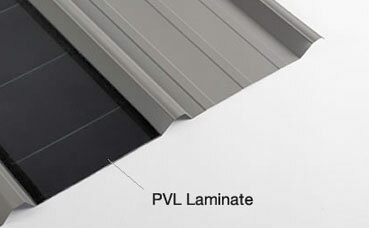 This makes the PVL’s perform extremely efficiently, even on cloudy days, a low pitch or an east-west orientation roof. The 7.7 Kilowatt system is producing an annual yield of approx 9,240 Kilowatt hours. During weekdays when the pre-school building is in use, it draws directly from the roof and any surplus power requirements from the grid if needed. On the weekend when very little power is been consumed by the building, the power generated from the PVL’s feed through an import/export meter, which effectively becomes a credit for the pre-school to offset their power usage throughout the week. To learn more about Solar-Rib® - a unique power generation profile - contact your nearest Dimond Roofing Sales Representative today.